12 Apr 2019 --- SIG has received recognition in the EU as a supplier of the industry’s first aseptic carton packs manufactured with foil certified to the Aluminum Stewardship Initiative (ASI) standard at the corporate level, together with the ASI Chain of Custody certification for its production site in Austria. The company has now extended its ASI Chain of Custody certification to all its carton sleeve production sites in Europe. The applied ASI Performance and Chain of Custody Standards have been developed and designed to audit the aluminium supply chain against standards on a broad range of ethical, environmental and social standards. ASI’s benchmarks are applicable to all stages of aluminium production and transformation, specifically: bauxite mining, alumina refining, primary aluminium production, semi-fabrication (rolling, extrusion, forging and foundry), material conversion, repurposing of recycled scrap, as well as material stewardship criteria relevant to downstream users of aluminium. “SIG’s leadership in achieving this duel ASI Certification sends a strong signal that responsible aluminium sourcing is an important step for the packaging sector. The option of on-pack labeling will also offer the opportunity to get the message on responsible aluminium out to consumers,” says Dr. Fiona Solomon, CEO at ASI. 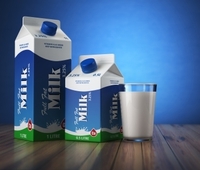 Customers of the Swiss packaging systems and solutions provider have been given the option to include the ASI label on packaging – in the same way they are invited to include the Forest Stewardship Council (FSC) label on any SIG pack to indicate that its liquid paper board is responsibly sourced. “Achieving ASI certification across Europe takes us another important step towards our target to source 100 percent of our key materials from certified sources,” says Ian Wood, Chief Supply Chain Officer at SIG. Founded 1853, SIG is headquartered in Neuhausen, Switzerland. In 2018, SIG produced more than 35 billion carton packs and generated €1.7 billion in revenue. The company has expressed a target to source 100 percent of its key materials from certified sources, in line with efforts to “green-up” its profile, together with aluminum supplier Amcor.